← PMO Genius: Rule The Bizarro World! 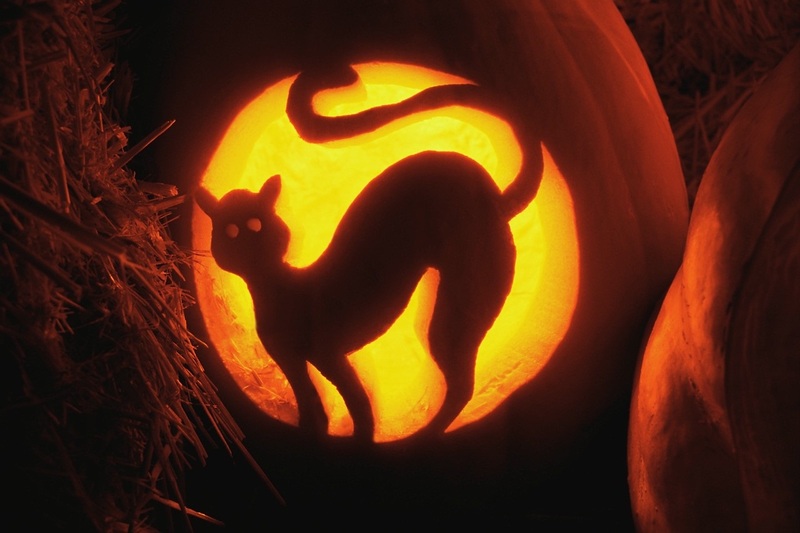 Holiday Spooktacular: Are Evil Forces Holding Back Your Projects? Do evil spirits control your workplace? Have your projects been cursed? Is your PMO hunted by failed and stalled projects? If that’s the case, then today’s Halloween special edition will show you how to cleanse your environment of dark influences, purify your project portfolio and sleep the sleep of the just and true project manager. If you’re ready to face the forces of darkness… let’s dive in! It is strange, but true, that more people base their lives (and their decisions) on superstition than on facts. If you watch baseball, you will soon notice that many pitchers go through strange gyrations before they throw the ball. Superstition! You need to repeat certain steps if you want to win. Sports, maybe. But superstition in corporations? It may seem ridiculous that a bank, research firm or legal department is ruled by superstition, but in fact, we often act without proof that our actions will do any good. Consider that in America, only <a href=”http://www.gallup.com/poll/114544/darwin-birthday-believe-evolution.aspx”>40% of people</a> believe in evolution, but 50% or more <a href=”http://www.christianpost.com/news/how-many-americans-believe-in-ghosts-spells-and-superstition-29857/”>believe in some form of superstition</a>. When we are in uncertain times, bet on superstition winning over facts. Face it, we all like to follow a routine, and we don’t like change. In many ways, that’s what superstition is, a routine that you’ve fallen into. It probably doesn’t do anything, but you’re afraid that if you ever stop… something bad will happen. If you’re a follower of Lean Six Sigma, this probably sounds pretty familiar. However, instead of calling these non-value added processes superstition, you could call them waste! When we watch a horror movie, we see the clichés that have become our new superstitions. We all know them, the really dumb things that actors do in movies, especially when the monster is just behind them. But we do expect the movie to follow a certain plot, and so we have these clichés. Well, we’re not in the movies, and Halloween comes but once a year. We may live in a superstitious world, and we may have bad days at the office with just one too many cliché, but we can break this pattern! If we all stay together, and no one gets lost. No that’s not right. OK, follow me if you want your projects to live! No I’ve heard that one before. How about… try these tips and see if they help? DON’T LOOK IN THE BASEMENT: Every teen slasher movie has someone who goes into the basement, and never returns again. In the audience we’re all thinking, “Why would you go down there? It’s dark, and the killer is ALWAYS in the basement. Dude… that’s the last place you want to be!” Well, there are a lot of projects in everyone’s basement. These are the projects that could be of some use, might even make you curious if you should start on them, but they don’t have significant benefits. If you have projects in the basement, leave them there. Maybe these projects were put in the basement because there was too little agreement and too much dissention to make them work, without killing a lot of your political capital. Poor innocent political capital. Leave them in the basement until you’ve cleaned up your other projects. Dig up projects when you need to, but learn to leave the basement locked until you have a good reason to go down there. BEWARE THE FULL MOON: The moon rises every 28 days, as it always has. But not everything in our firms follows an eternal and unbreakable pattern. In fact, most things change, although it may take a very long time for change to happen. One way to increase the speed of change is to inject new technology into your project portfolio. Perhaps you can even leapfrog technology. Instead of replacing desktop computers with laptops, you might move directly to Tablet computers or smart phones. Breaking your old pattern can have magical results! PROTECTION FROM THE EVIL EYE: From four leaf clovers to horseshoes, we have endless charms and relics to protect ourselves from the unexpected. In project management, operational managers have something similar. It’s called a contingency staff. Contingency staff is additional staff that can be brought in during peak work times, when weather or disaster keeps staff from the office, during flu season or any other time that additional staff is needed to keep the work moving. However, when you have had a contingency staff for a very long time, your “good-luck luck charm” gets comingled with regular staff. Over time contingency and core staff are lumped together, and you no longer know the cost of getting work done. Contingency staff, which may be temps or offshore staff, can be lost in reporting and left off of your service’s expenses. Now that’s Scary! When you put your project together, remember to identify all contingency staff and determine how it fits into the baseline for your operation’s cost. THAT SCOTTISH PLAY: Wording is everything. There is a superstition among actors that when you work in the play “MacBeth” you cannot say its name, or you will have bad luck. Every firm has culture, and every culture has hot button terms. At JP Morgan, they want outsourcing but not offshoring. Be careful not to confuse the two when you launch a project. President Bush (senior) learned that you can only reword to a certain extent. Taxes, a very unlucky term for conservatives, were particularly out of favor when he became president. In fact he campaigned on a motto of, “Read My Lips… no new taxes!” However, when he then added “revenue enhancements,” well, he had some bad luck in the next election. Your culture may vary, but if you carefully craft your arguments for change with an understanding of the magic words for acceptance and rejection, I will predict much success in your future. THINGS MAN WAS NOT MEANT TO KNOW: Every project manager and PMO director understands the power of the skeptic, and how these managers and decision makers can throw up barriers that hold back important projects. They don’t want you to make any changes or rock the boat. But even the most reluctant member of the project team has some connection to the goals of your project. You need to discover that connection. If it’s helping the firm achieve its goals or advancing that mangers own goals, there is almost always some connection that can be developed to move a project forward. In old monster movies, if you wanted to villagers to help you, you needed to marry one of the locals or go through a painful initiation. It may not be quite that painful to get your project team behind you, but you may need to sacrifice… something. Negotiation, compromise and persuasion are skills that needed on every project. If you can facilitate the right deal at the right time, you just may be able to get the villagers to leave their pitchfork and torches at home! The day after Halloween, the spooks and spirits return to their resting places for yet another year. Come the morning we will go back to work and prepare to do battle again to close out our project portfolios. A night of debunking superstition and mystical cliché may not change us completely, but it may make our projects just a little less frightening. So it’s back to work and here’s hoping that all your gravestones… ahhh… milestones are on time. At least, that’s my Niccolls’ worth for tonight!